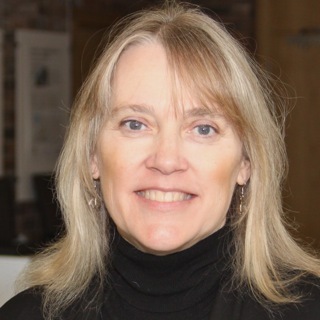 Vicki Hanson is the Chief Executive Officer (CEO) of the ACM (Association for Computing Machinery), globally serving computing professionals and students. She was President of ACM from 1 July 2016 – 30 June 2018. Vicki was a Distinguished Professor in the B. Thomas Golisano College of Computing at the Rochester Institute of Technology (2013 – 2018), and a Visiting Professor at the University of Dundee in Scotland, and Lancaster University in England. A former Research Staff Member at IBM T. J. Watson Research Center, she has been working on issues of inclusion for older adults and disabled people throughout her career, first as a Postdoctoral Fellow at the Salk Institute for Biological Studies. She joined the IBM Research Division in 1986 where she founded and managed the Accessibility Research group. She has been at the University of Dundee since 2009 and at RIT since 2013. She has served on research advisory boards and agenda setting committees in both the US and the UK. Her research focus is on accessibility of technology for people with disabilities, the aging population, and related research ethics. At RIT, she, along with Matt Huenerfauth and Kristen Shinohara direct the Center for Accessibility and Inclusion Research (CAIR).